Freeview HD TV box with two tuners -watch And record Freeview SD or HD channels on PC. 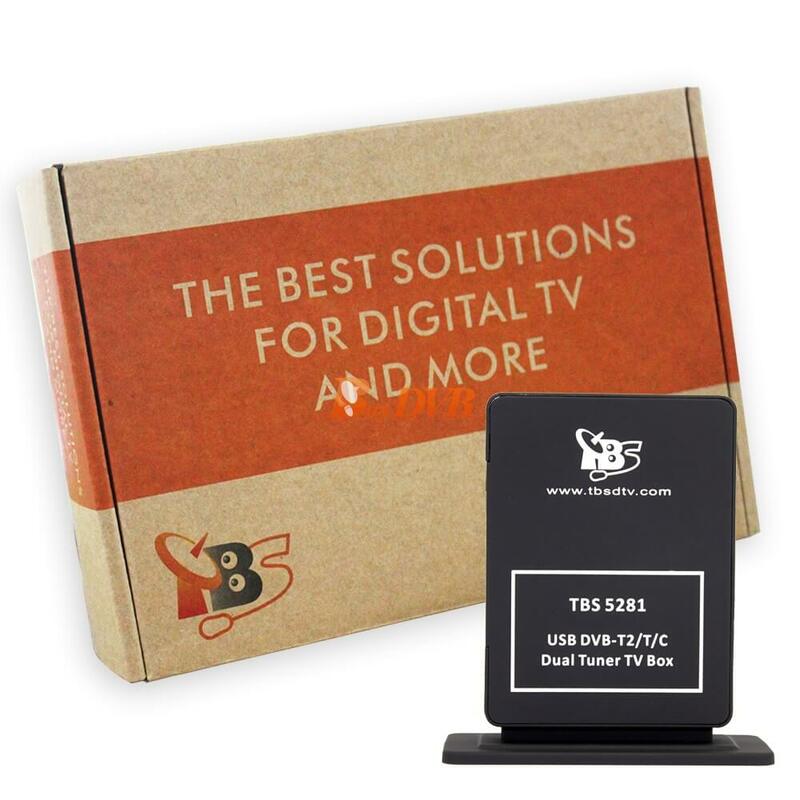 TBS 5281, the successor of TBS5280, is an USB interface digital terrestrial TV box with two tuners for watching and recording Freeview SD or HD channels on PC. The two tuners enable you to watch TV channel on one multiplex while recording another channel on another multiplex simultaneously. Itâ€™s ready with Windows BDA driver and Linux driver up to the latest kernel(Tested on Ubuntu, Fedora, Opensuse and many other Linux distributions). 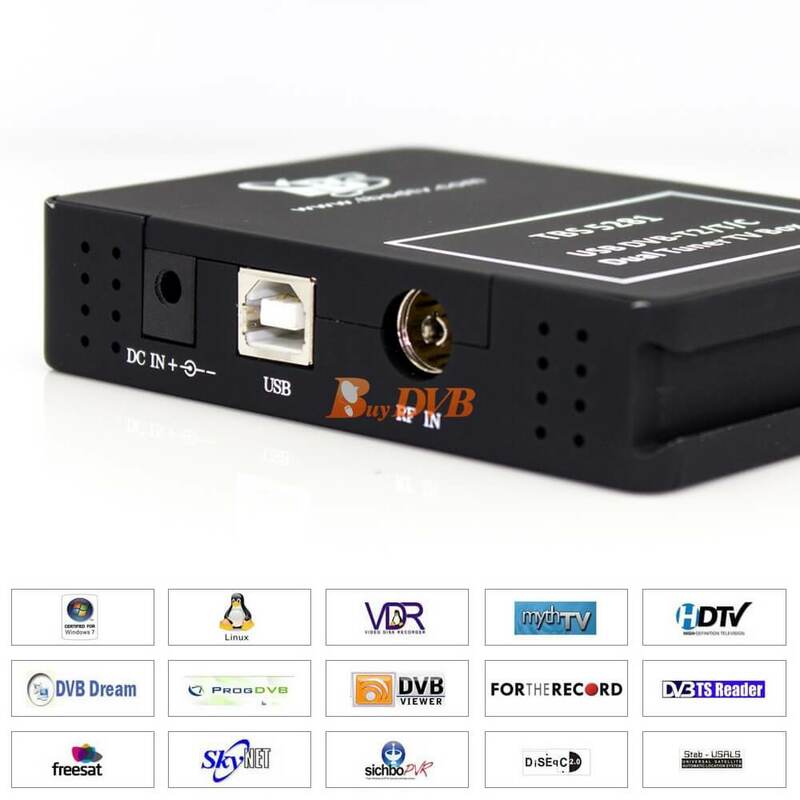 Itâ€™s compatible with Windows7 Media Center, MediaPortal, DVBlink, DVBDream, DVBViewer, ProgDVB, Skynet, TSreader, XBMC, MythTV, VDR and lots of other popular DVB software. 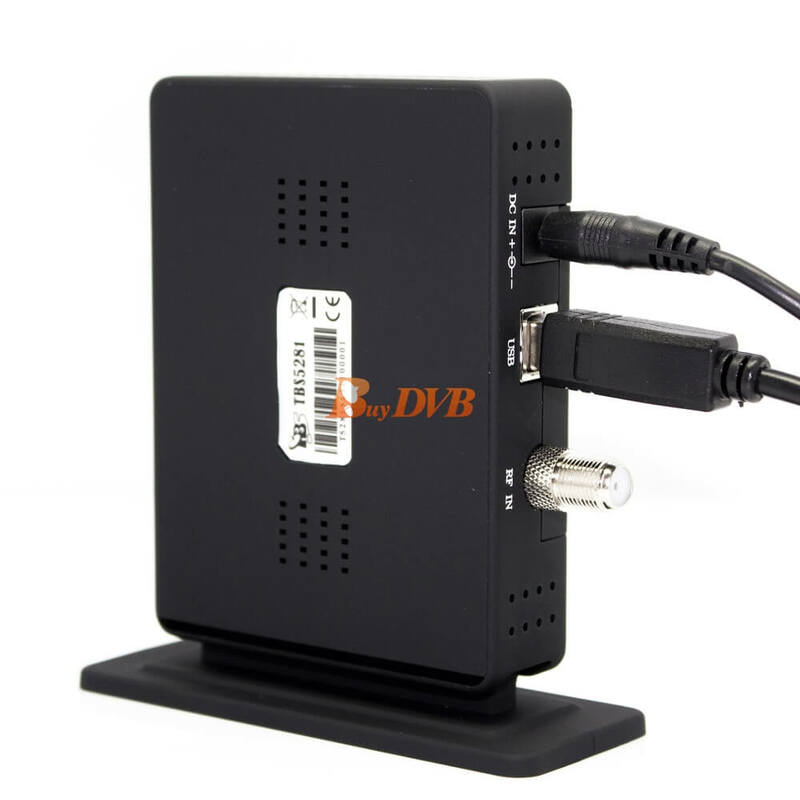 Nowadays, more and more countries adapt DVB-T2 as standard for broadcasting digital terrestrial TV contents due to its better bandwidth comparing to DVB-T. Especially in the UK, Freeview SD channels are broadcasted through DVB-T but Freeview HD channels like BBC HD, BBC One HD, ITV 1 HD and Channel 4 HD are broadcasted through DVB-T2. Sweden, Finland, Russia, Ukraine, Czech, Italy, South Africa and New Zealand are already broadcasting DVB-T2 channels or have DVB-T2 on trial. 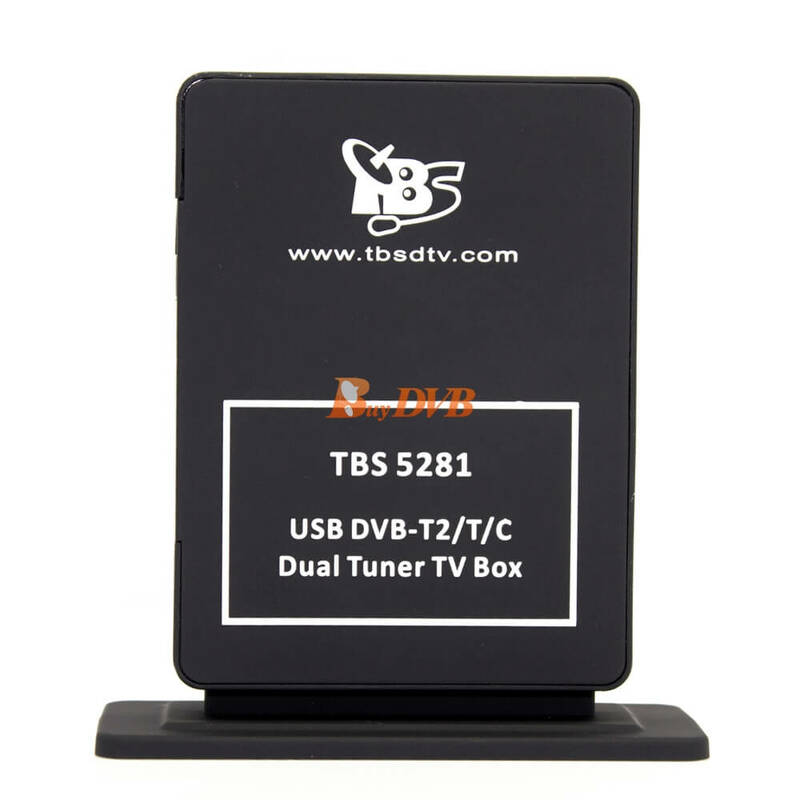 TBS 5281 DVB-T2/T Twin Tuner external TV Box is an USB interface TV box with two independent DVB-T2 Tuners. 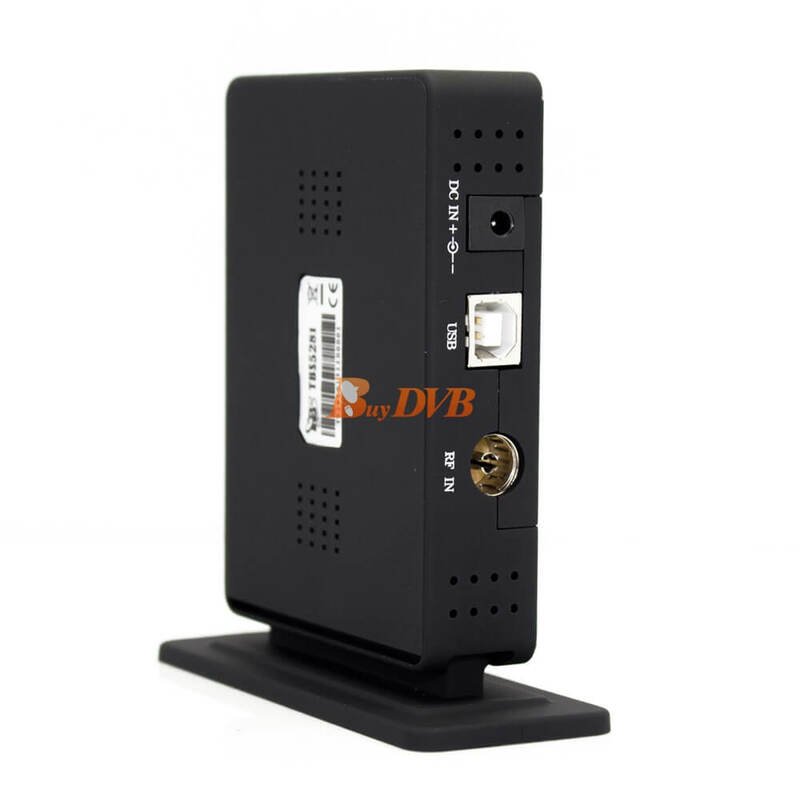 With single TV tuner, youâ€™re limited to watch one channel at one time only. While with dual tuner, you can watch two channels or you can watch one channel and record another channel without interference. 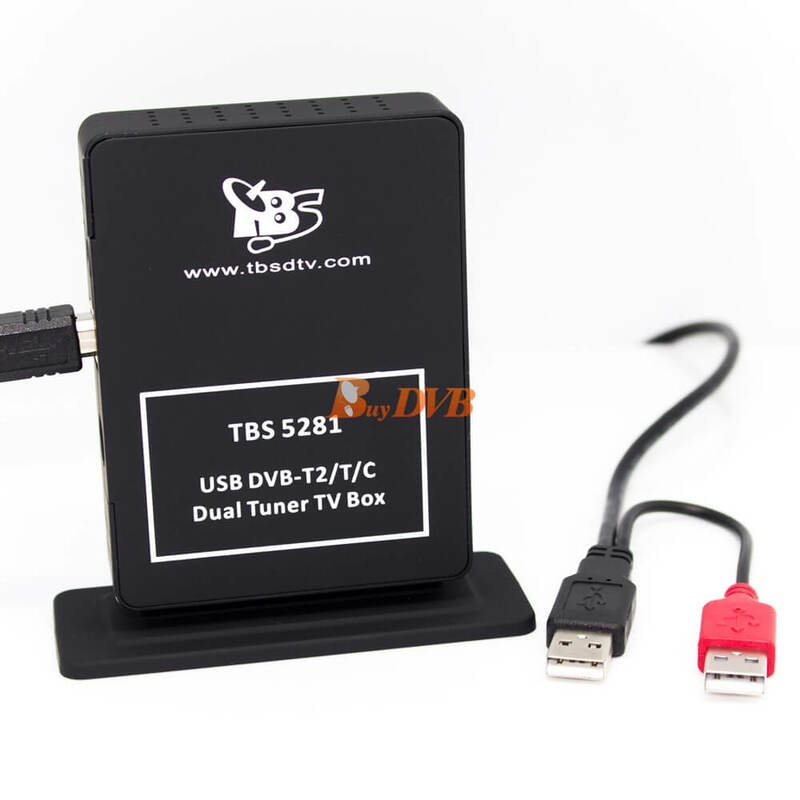 Even more if you want to make full use of the recording capability of the two tuners, you may record two whole TS (Transponder Stream),one of which could contains maximum ten, twelve SD or HD TV channels into your PC hard disk, which means you will be able to record up to 24 channels with TBS 5281 in the same time. You wonâ€™t miss a thing! This feature contributes a lot especially when you are building up HTPC or IPTV streaming server. By using appropriate software, e.g. MediaPortal and its plugins, you may stream terrestrial and cable TV contents to your iPhone, iPad or iPod. 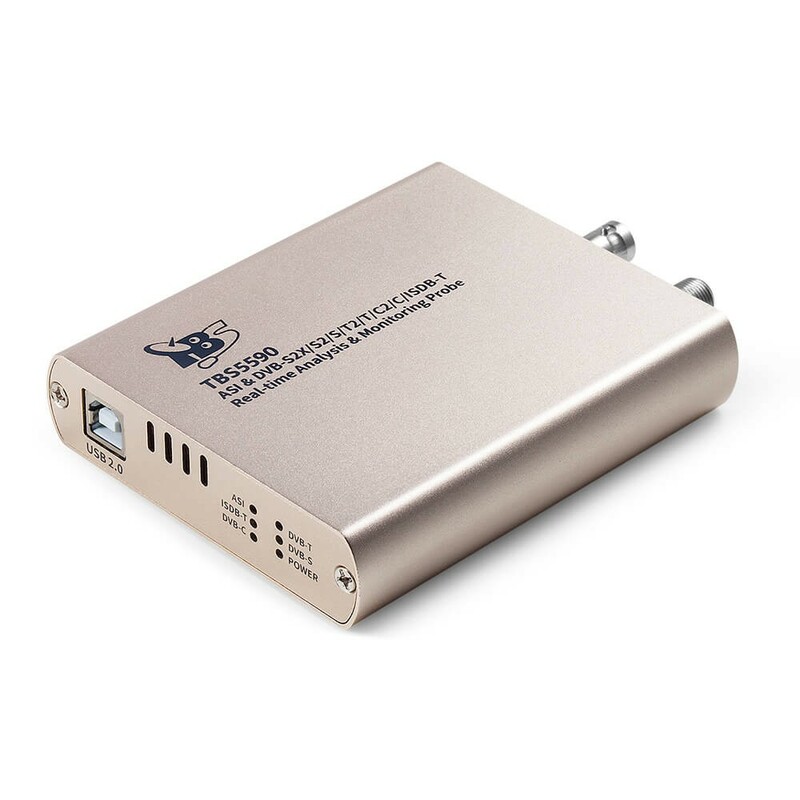 Will this work with OTA (Over the air channels) in USA (via antenna)? 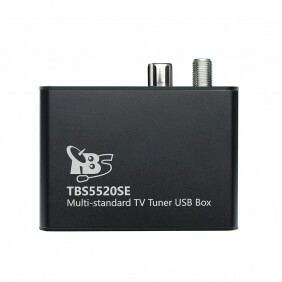 TBS5281 works with OTA (Over the air channels) in USA (via antenna). Will this item be coming back in stock? I couldnt find any in-depth review. 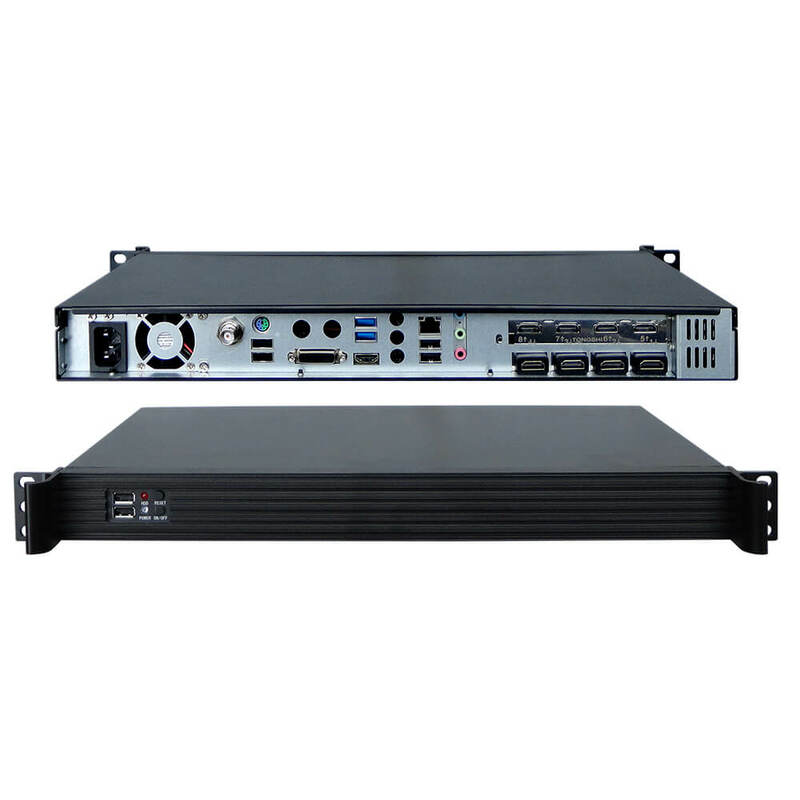 Building IPTV Server and thinking about buying 5x of these. How about the quality and are they 24/7/365-proof? You are much to be interested in our product at first. 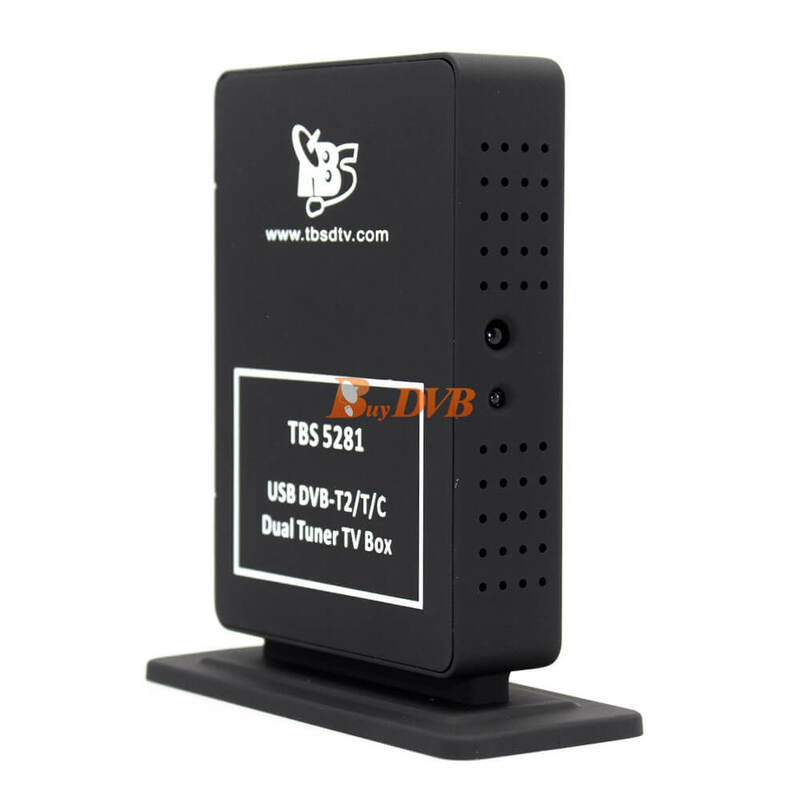 Our TBS product is popular with IPTV system. And we test our cards 24/7, works well. 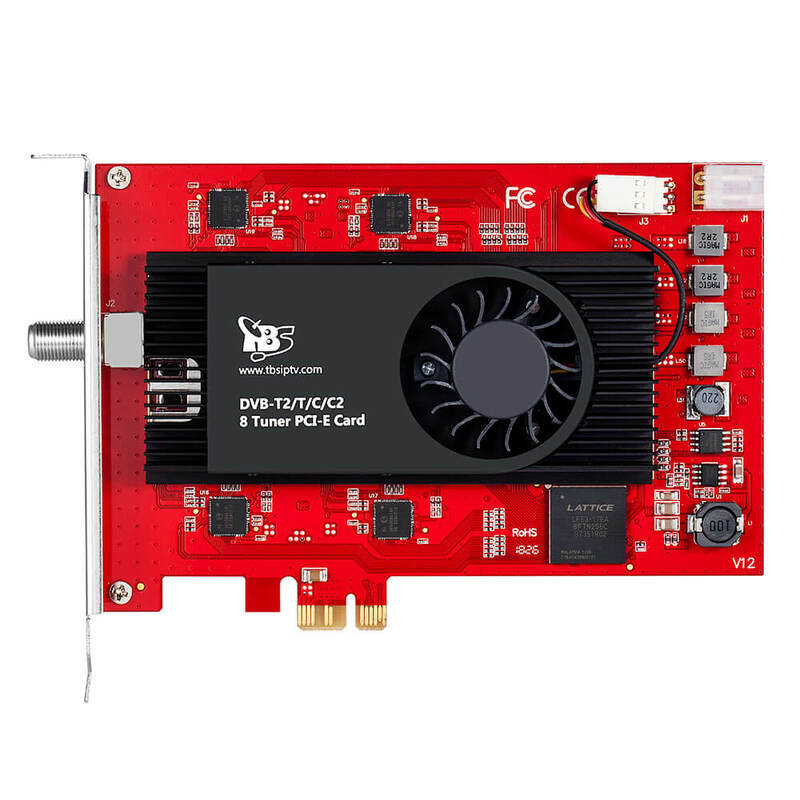 Our PCIe cards are well used for IPTV as well. May I know if this tv tuner can record in full hd? Thanks for your question. 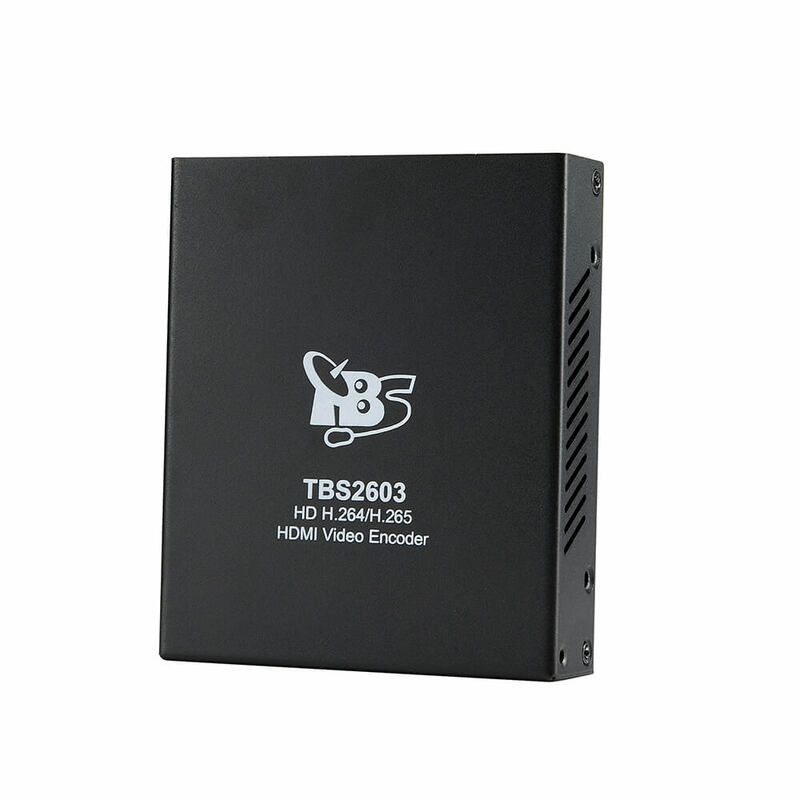 Yes, TBS5281 can record in full HD. I am interested in this card. 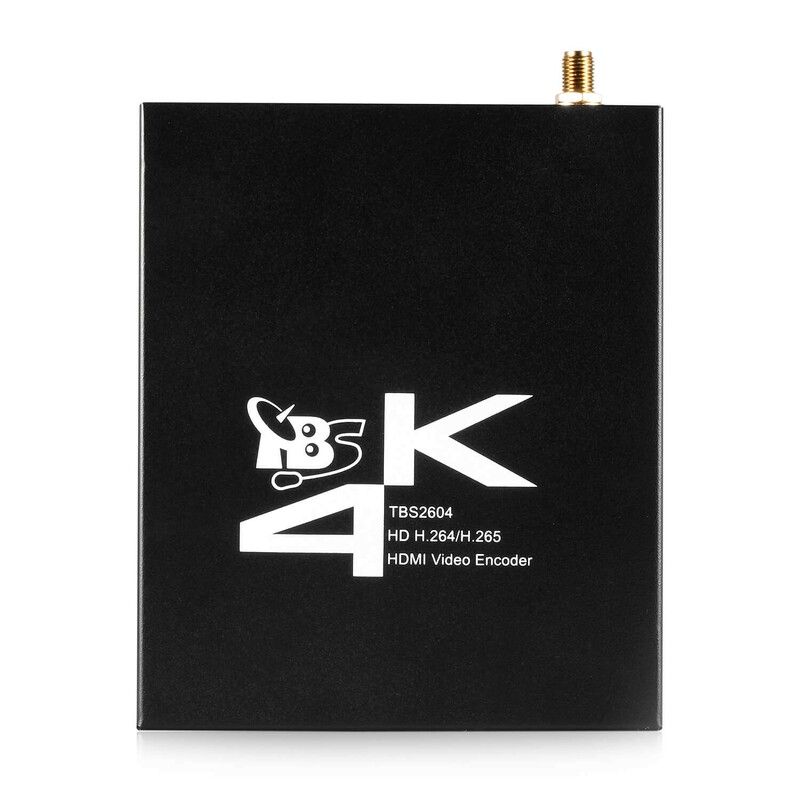 I 'd like to know dose this card support DVB-C HD channel decoding? Mainly I'd like to use this for cabel channel watching. Thanks for your info at first. 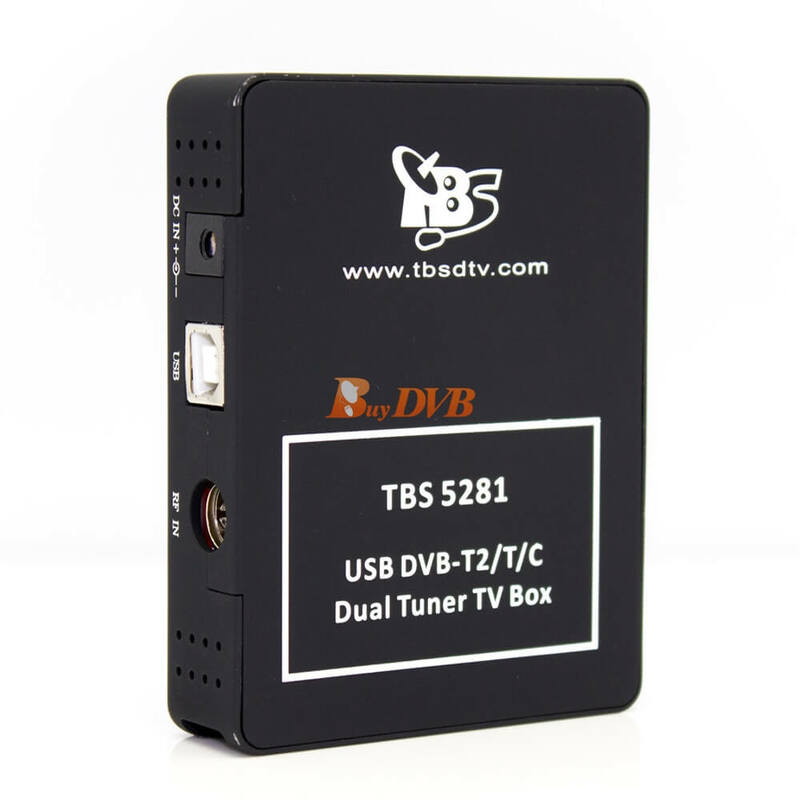 Yes, TBS5281 supports DVB-C HD channel decoding.